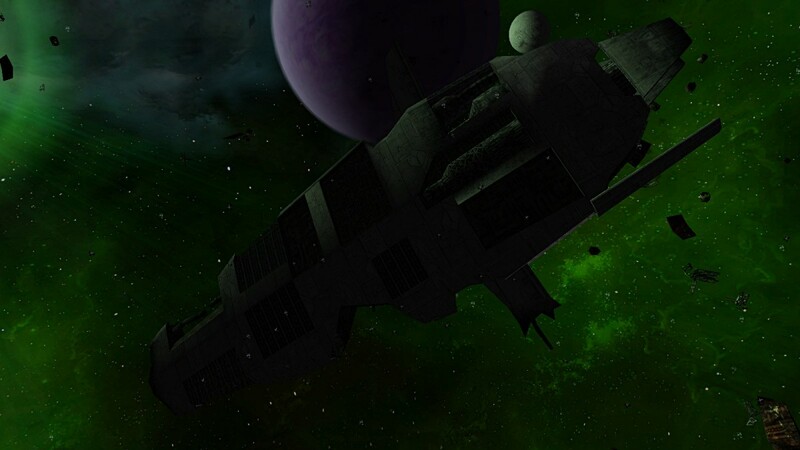 The Hispania was one of the five colossal "Sleeper" colony ships sent by the Western Alliance to the Sirius Sector. It was sabotaged, some say by Eastern Coalition agents, and half of its occupants used escape pods to abandon the ship, becoming the Corsairs. The other half stayed and drifted with the ship, eventually founding a separate colony and becoming the Outcasts. The remains of this ship can be found in the Omicron Alpha system, drifting in the vicinity of the Outcast capital world of Planet Malta. It is also possible that the nomads attacked the colony ship but this is unlikely because the nomads were not in Sirius at the time. Hispania is possibly made up of any Spanish speaking nation.